Microsoft recently released the launch trailer for the eagerly awaited Rise of the Tomb Raider game, which is a sequel to the highly acclaimed 2013 reboot by developer Crystal Dynamics. The trailer reveals more of the game’s story, as we learn that Lara’s father was obsessed with the secret of immortality and was being pursued by a sinister paramilitary group known as “Trinity”. 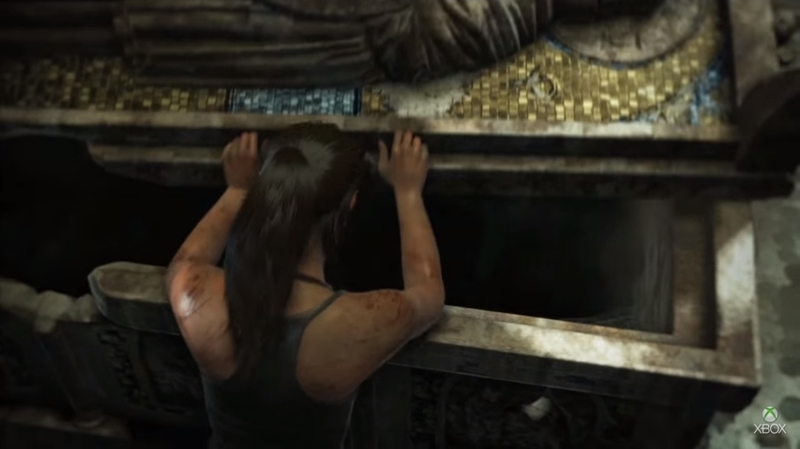 And we get to see more of Lara’s acrobatics as she raids a Syrian tomb and makes a daring escape from a group of armed enemies that would make a character like Indiana Jones proud. We later learn that the organization Lara is now fighting against is searching for a presumably all-powerful object known as the “Divine Source”, the key to immortality, and that it is located in Siberia, the game’s main setting. And the game’s plot appears to be quite engaging, and it will hopefully keep gamers on the edge of their seat when Rise of the Tomb Raider debuts this November. The game’s trailer certainly has high production values, and is accompanied by the original song “I Shall Rise” by musician Karen O., who was nominated for an Academy Award for her work in the 2013 movie “Her” starring Scarlet Johansson. Rise of the Tomb Raider will be initially available only for the Xbox One and Xbox 360, as it is a timed exclusive, only coming to PS4 and PC next year. This has generated controversy, as it left many disgruntled Tomb Raider fans who won’t be able to play the game on November 10 unless they game on Microsoft’s consoles. But still, keeping the game an exclusive until next year is a move that makes sense for Microsoft as the Xbox One is trailing the PS4 in sales by a large margin, and holiday season exclusives could help the Redmond giant catch up with Sony’s console. And the Xbox One does have a strong Christmas line-up with Rise of the Tomb Raider and Halo 5: Guardians, which has turned out to be a great game. And hopefully for fans of Lara Croft’s adventures, the upcoming Rise of the Tomb Raider will be just as much fun to play as the Master Chief’s latest game when it is released in November. Note: Rise of the Tomb Raider will be released on November 10, 2015. It will be available on Xbox One and Xbox 360.